Now, human workforce is getting needless and we will continue to see more neglected class of people, who have no works to do, in this world by these ultramodern technology. On the other hand, we started to find and seek valuable productions. We are stepping backwards to our origin. And we find the value from our hands, natural to go back to the basic. Coiling & Pinching is one of the most basic manufacturing method in ceramic works. It gives the chance to see and feel this rough coil surface to consumers. Only using hands, the long coil lays on upon another with patience and craftsmanship. Fingertips only can feel the thickness of the work and only can feel the moisture of the clay. This works is all made by hands. The last part of the coil is pointed by gold to high the value of this work. 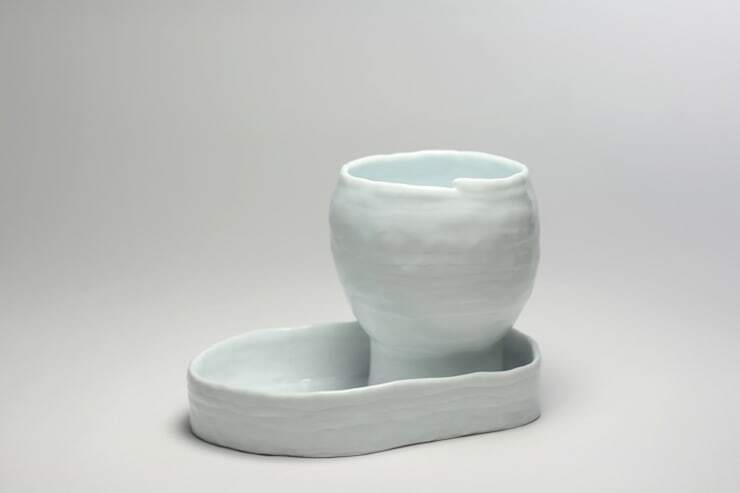 Used Korean white porcelain in reduction firing with transparent glazed. 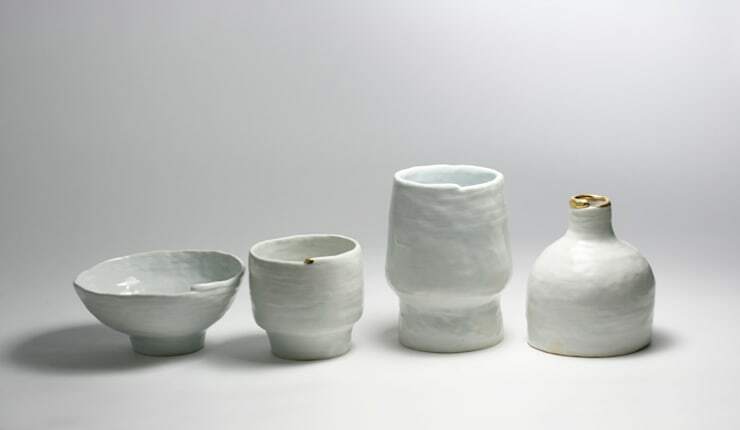 The productions are reinterpreted and simplified from Korea ceramics. The value of handmade work is getting higher and this phenomenon will let the people think more in handmade works. Coiling & Pinching method by hand, Porcelain. 2014.